Ok, how about this to create a bit of a festive mood? 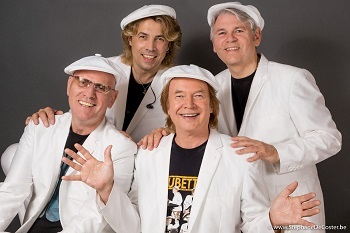 The Rubettes featuring Alan Williams have just released a Christmas single. They were one of the few high profile acts in the early seventies not to score a Christmas hit before the bottom dropped out of that particular market, so they’ve missed out on all the repeat plays that the likes of Wizzard, Slade, Mud and Showaddywaddy get every year on local radio, shops, bars and clubs. So they’ve done something about it.